Description: Emihe (pronounced “M”) has green eyes that can transform into dark brown. 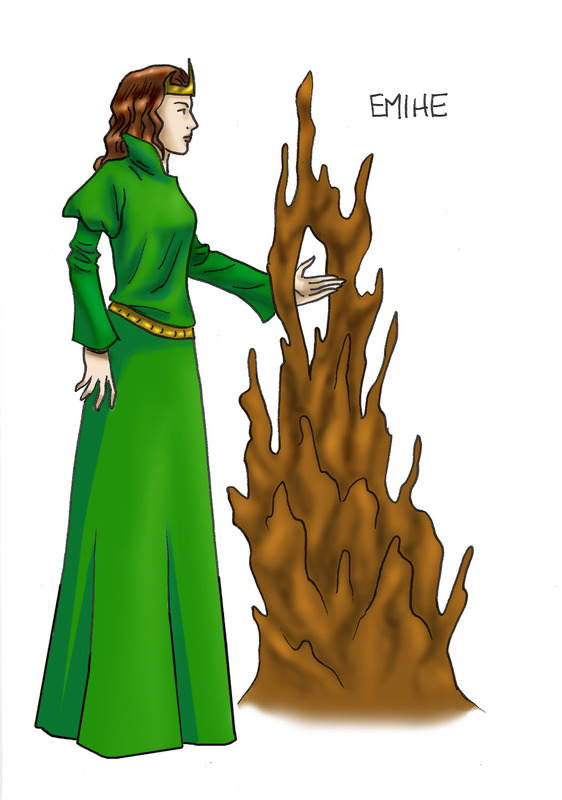 She wears green dresses and her brown hair is in curls around the bronze crown that she wears. Emihe hates her younger sister Maryanne and vows to destroy her for “all the wrong” she’s done.